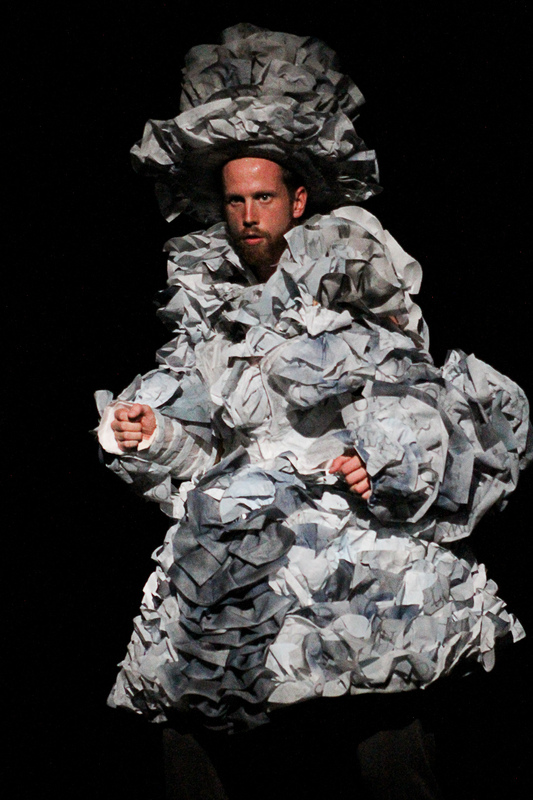 KT Niehoff » KT’s new Acrobatic Conundrum touring work “A Book is Not a Ladder” in Vancouver! KT’s new Acrobatic Conundrum touring work “A Book is Not a Ladder” in Vancouver! 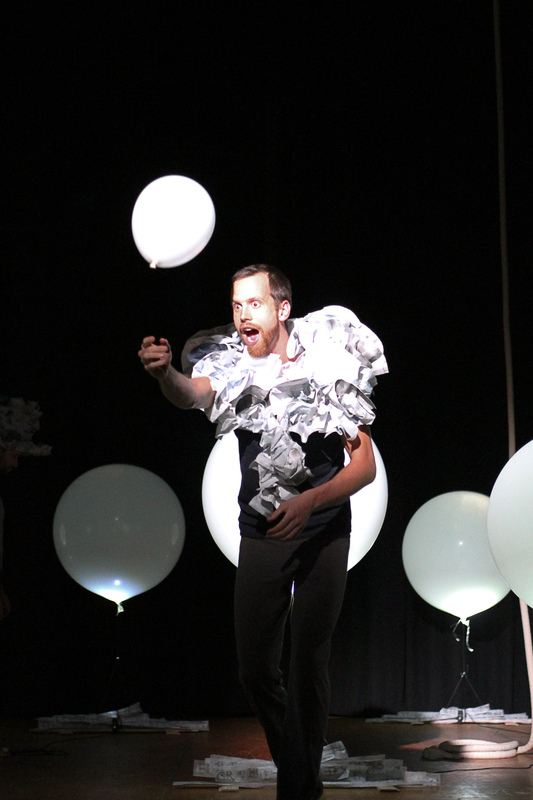 The show draws inspiration from Jorge Luis Borges’ story, Library of Babel. In an infinite universe lined with books that are uniformly gibberish, the human element searches for meaning. The acrobats find themselves at odds between the sensations of falling forever, and the Sisyphean task of looking for story in a nonsensical world. The dynamic cast of A Book is Not a Ladder debuted the work in NYC as part of the Summerstage Series. Next up – Vancouver! The show will be presented at CircusFest, the first edition of a new contemporary circus arts festival in Vancouver, BC. Read more about the show and hear what CircusFest has to say about AC! In 2012, Terry Crane and Joselynn Engstrom founded the Acrobatic Conundrum, a new Seattle-based circus company, to address their wish to present original, ensemble acrobatic work. The artists of the Acrobatic Conundrum tell their stories as individuals as well as take physical risks live onstage. As a company, they are dedicated to a vision of human courage, connection, and collaboration. The company has produced three shows to date: Volumes I & II, and The Way Out. 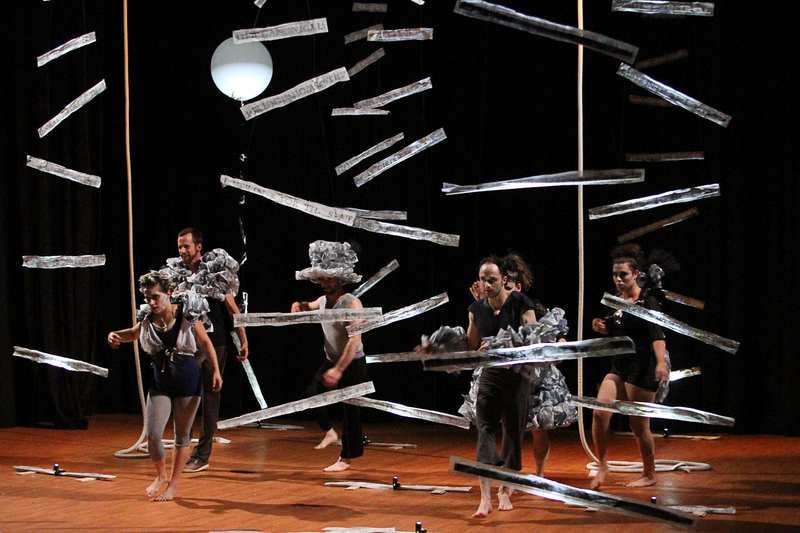 Their most recent work, The Way Out, headlined the first contemporary circus festival in the U.S. in January 2014.